In 1991, five friends, Benj Gallander, Greg Holmgren, Carol Pauker, Rob Sherwood and Ben Stadelmann came together to put on the first SummerWorks Festival. The decision to mount a new fringe-style festival was a response to what was seen as a growing, under-represented small theatre community. In its first year, the Festival was a vehicle for the producers to put on their own work as well as assist other companies and artists in producing their work, which they did on a first-come, first-served basis. From 2000-2004, under the direction of Franco Boni, the Festival made significant changes in order to further distinguish itself as a unique and integral part of the Toronto theatre community. The most significant change was the gradual transition from a lottery system, to a fully juried Festival. 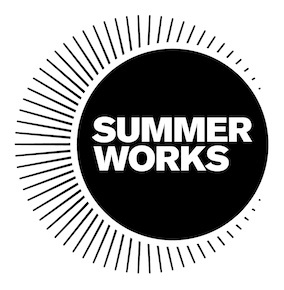 These changes were instrumental in raising the calibre of work so that SummerWorks is now the Ontario’s premier festival of cutting-edge, exciting, professional theatre. It is the breeding ground for the mainstage shows of the future and the hub for Toronto’s most dynamic, dedicated theatre professionals. In 2005, the Festival came under the leadership of Artistic Producers Keira Loughran & Kimahli Powell. Their focus was to continue to build support for the artistic excellence the Festival had come to be known for and to serve as a meeting ground of Canada’s most exciting and engaging emerging and established artists with the launch of the SummerWorks Canadian Pavilion in 2006. In 2007, Keira took on full responsibility for the festival as sole Artistic Producer. In January 2008, Michael Rubenfeld became the Artistic Producer of the Festival, bringing with him his great love for theatre, music, and his desire to find new ways of exploring theatre as a communal experience.